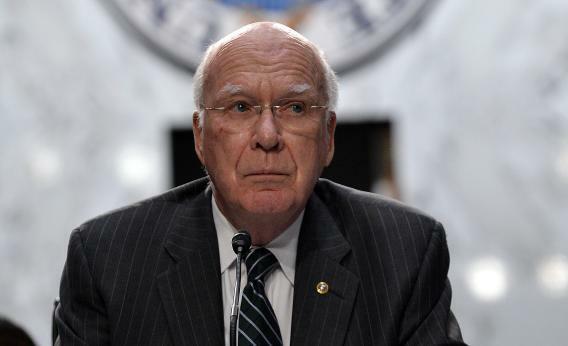 Patrick Leahy introduces legislation to update ancient Electronic Communications Privacy Act. For years, cops have been able to get hold of emails older than 180 days without obtaining a search warrant. But a proposed update to a 27-year-old privacy law could change that—and even the often privacy-bashing Justice Department is backing reform. The Electronic Communications Privacy Act was first written in 1986 in order to create a balance between law enforcement surveillance and the rights of Americans. At the time the law was drafted, however, it was unusual for the average citizen to even use email, let alone store it electronically for more than a few weeks or months. Congress concluded that it would be rare for email to be saved online for more than 180 days, so emails older than that were deemed not to be protected by a warrant. Instead, they could be obtained by the lesser standard of a subpoena issued without the approval of a judge. Today, legislation that aims to scrap the 180-days clause was published. ECPA 2013, authored by Senate Judiciary Committee Chairman Patrick Leahy, D-Vt., and Sen. Mike Lee, R-Utah, would ensure authorities have to obtain a search warrant to get access to emails no matter how old. It would also require the government to notify an individual whose electronic communications have been disclosed within 10 days of obtaining a search warrant. But while there may be a bipartisan consensus building for scrapping the 180 days provision, law enforcement agencies are using the prospect of ECPA reform to lobby for data retention of text messages. Authorities have been pushing for a clause that would force carriers like Verizon and AT&T to store all text messages sent by Americans in a vast database so that the information can be perused at a later date to help with investigations. “Billions of texts are sent every day, and some surely contain key evidence about criminal activity,” Richard Littlehale, a special agent with the Tennessee Bureau of Investigation, said today before the House judiciary subcommittee, echoing similar statements made by authorities in December. It looks increasingly likely that provisions enhancing email privacy will be enacted by Congress, probably before the end of this year. But for privacy groups the push for greater data retention of text messages could represent the beginning of a new battle.